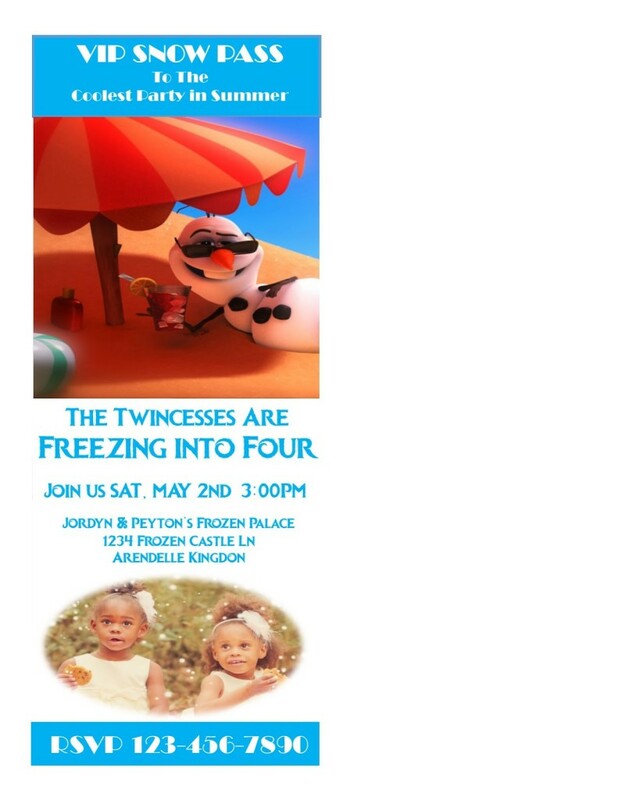 So I am knee deep in preparing for the twincesses fourth birthday party. Of course the theme is Frozen so look out for some Frozen Party tutorials coming soon. 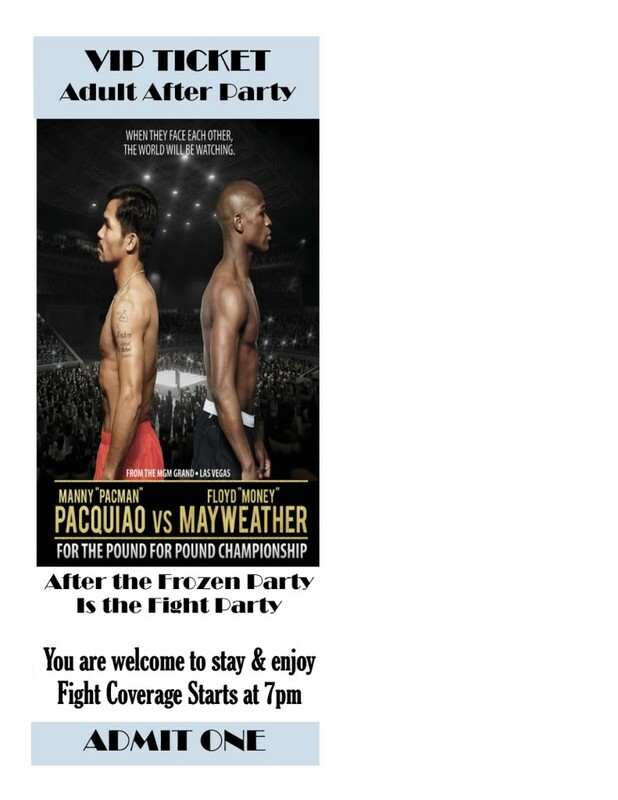 This year their party is on the same day as the Floyd Mayweather vs Manny Pacquiao Boxing fight! So we decided to do the invites as tickets…a kid ticket to the Frozen Party and an Adult Invite for those who want to stay and watch the fight! Also here is a sneak peek of the girls’ Frozen party invites, these will be available for $5, customized for you to print as many copies for your next Frozen Party.